I'm a long-time Minelab PI user, so please bear this in mind. Normally I avoid the VLF detectors from ANY manufacturer, simply because of their inherent sensitivity to the ever present hot-rocks. The new Goldbug (mine is the "Special Edition" unit) is no different in this regard -the positive variety still sound much like a nugget, only perhaps with a little more blur in the "zip". The real innovative difference with this detector is the digital screen, which gives you a numerical reference for the ground balance. They call it the Ground Grab(GG) feature, which is a button you push while pumping the unit to achieve a very quick GB. It works much like the Gold Button on the Minelab 3500, 4000, and 4500. You just press the GG while pumping, and you can watch the Goldbug do a comparative analysis of the ground via two digital numbers in real-time. Its pretty slick in actual use, and you have the option to go positive or negative to suit your personal preferences. I like the fact that you can switch to the Disc. Mode to check on the positive hot-rock(i.E. To check on the signal, just switch to Disc, and the hot-rock will usually vanish if not too large). The default on the Disc is set at zero, but this is enough to eliminate the hot-rock w/o losing a potential nugget(unless it is very tiny). I got skunked in Nevada last week using the 4500, so I purchased this unit at a local dealer-the 4500 has a tough time finding nuggets smaller than 1/4 gram or so. I have not enough time with this machine to know its absolute limits, but the 19kHZ New Gold Bug is sensitive enough to pick up nuggets down to a grain or so. Not quite as good as the GB 2, but I really don't want to dig gold smaller than 2-3 grains. 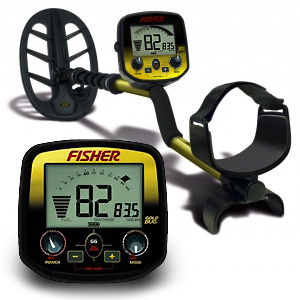 At the MSRP of $549.00, you really can't get a better gold detector. My only complaint is the threshold tone sounds much like a digital mosquito, more so than the GB 2, Lobo, or Gold Master.